Maxime Canevet doubles and is back in the game! There’s still €73k on the line. 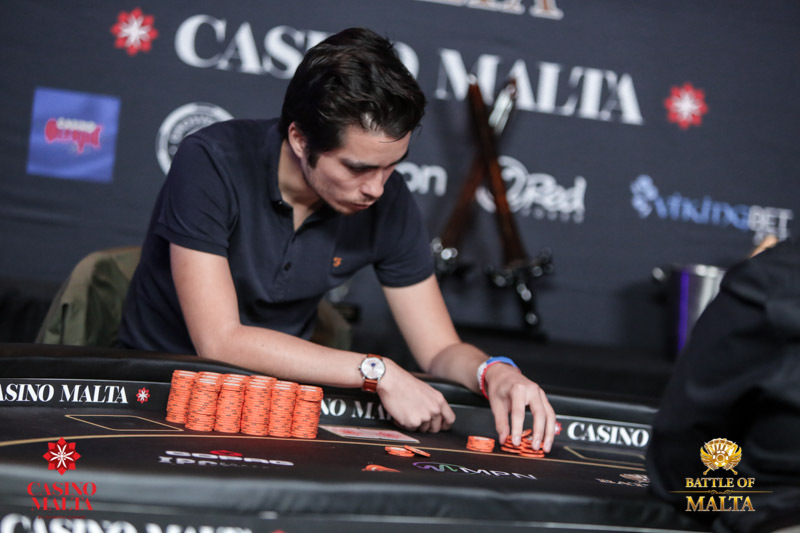 The deal that was made 5-handed left €73k on the table – €50k for the winner and €23k for 2nd place. So you knew it wasn’t just going to be a friendly French surrender match. With only 16 big blinds Canevet’s game plan was easy – just find a hand and go with it. Well, he found a hand: J♥ 9♣ in the big blind. Stropoli moved all-in from the button (as he has done repeatedly) with K♦ 5♥ and Canevet called. Board: J♣ A♦ 9♦ 9♠ 4♠. Canevet made a boat and doubled up.